Has the look of your home started to look a little faded and dated? 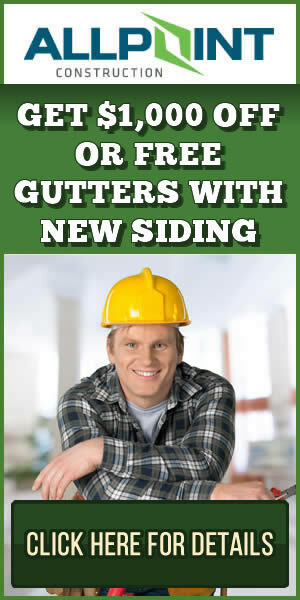 Maybe the siding on your home is starting to fail and needs constant updates and repairs. Whatever the reason, adding new siding in Dearborn Michigan can not only protect your home from the elements but it can also give your home a new look. 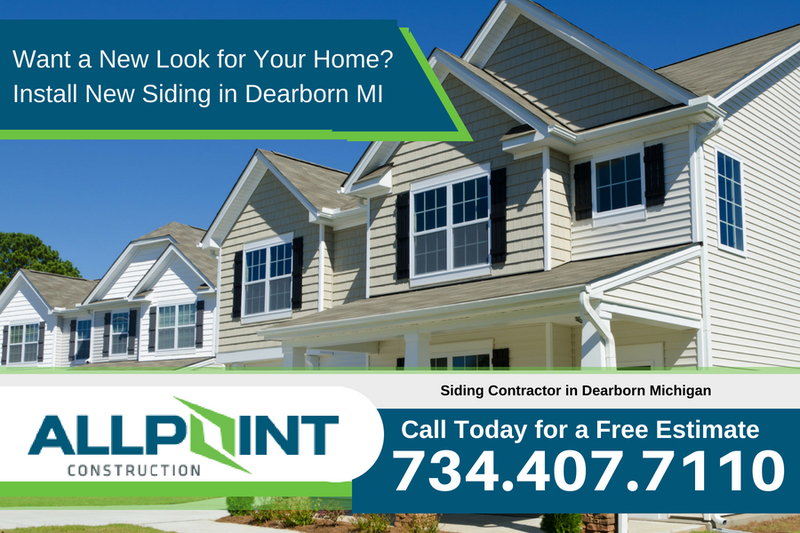 New siding options today offer many different looks that you can add to your home in Dearborn Michigan. Included in this article are some of the more popular siding choices in Dearborn Michigan and the advantages of using each one. Vinyl siding is one of the most popular types of siding used in Dearborn Michigan today. It protects the home very well, lasts for a long time, and it looks great. There are different grades of vinyl siding which can have an impact on how it looks however. Higher grade vinyl siding will be thicker and less vulnerable to cracking. Higher grade siding made from vinyl will also have 2 layers during the manufacture of the siding. One base layer and one exterior layer which is better at keeping the siding looking great for longer periods of time. So once it is installed on your home it will look the same for years to come. James Hardie siding is actually the name of the company that makes this particular type of siding. Fiber cement siding is made using cement and cellulose fibers to create a protective barrier on your home. Since James Hardie siding is what all fiber cement siding is commonly called, it’s also one of the best brands of fiber cement siding as well. James Hardie siding can make your home look amazing and better yet, it protects the home very well. The warranty for James Hardie siding is 25 years for the painted version but it can also be re-painted just like other siding choices if you need a refresh on the look of the home’s siding. One of the oldest types of siding still used today is wood siding. There are many different variations of wood siding but mainly today the most common wood siding is cedar shakes. Typically, cedar shakes and other wood siding are installed in areas which are prominent and focal points of the home. Because of the price of wood siding and the maintenance requirements many home owners tend to shy away from the entire home being covered in wood siding. Metal siding is also used in many homes in Dearborn Michigan but mainly has been used in commercial applications. Many homes that now have metal siding installed will usually have a better option of upgrading to vinyl siding instead of metal siding on your home. Along with getting a new look for your home with siding you can also make it more energy efficient as well.Installing new siding in Dearborn Michigan with siding insulation as well can make the home more energy efficient and not only make your home look great but also save money on energy costs for years to come. NextIs James Hardie Siding in Ann Arbor Michigan a Better Choice Than Vinyl Siding?